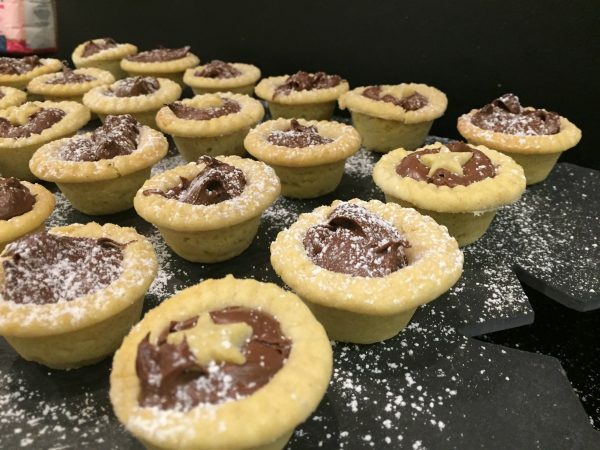 A two-bite temptation of hazelnut and chocolate encased in a luxurious all butter sweet shortcrust pastry finished with a sprinkle of fairy dust! All our pies are baked to order. Consume within 4 days. Wheat flour, sugar, free range egg, butter, hazelnuts, palm oil, skimmed milk powder, fat reduced cocoa, soya, vanillin.